To our friends in Greensboro, Phoenix and San Antonio: We’ve got something special for you… and your family and friends! Starting July 17, you’ll have a new option to take out Chick-fil-A. Let’s face it. When schedules get crazy, making time for family dinner becomes more difficult. But Chick-fil-A’s Family Style Meals now make it easier for you to spend time with those who matter most. 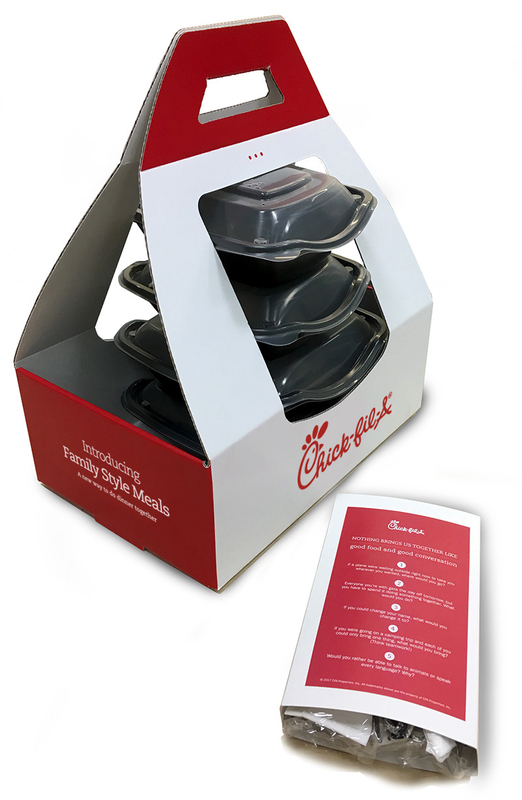 It’s a meal kit designed by parents (who worked directly with Chick-fil-A) for parents and other groups looking for an easier way to get meals to-go and connect while they’re eating together. The Family Style Meals include one entrée, two shareable sides and eight mini rolls that serve four people. If your family has more people or is just extra hungry, no sweat. You can always add more entrees and sides to your order. Mac & Cheese: A classic macaroni and cheese recipe featuring a special blend of cheeses including Cheddar, Parmesan, and Romano. 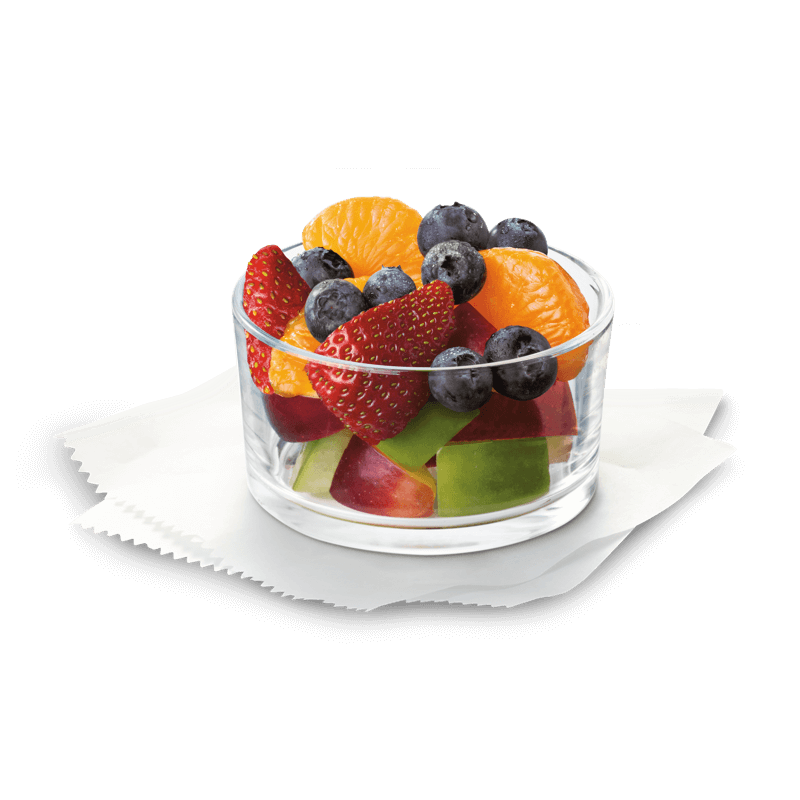 Fruit Cup: A fresh, nutritious fruit mix made with mandarin orange segments, strawberries, blueberries and red and green apple pieces, served chilled, in a choice of sizes. Prepared fresh at each restaurant. 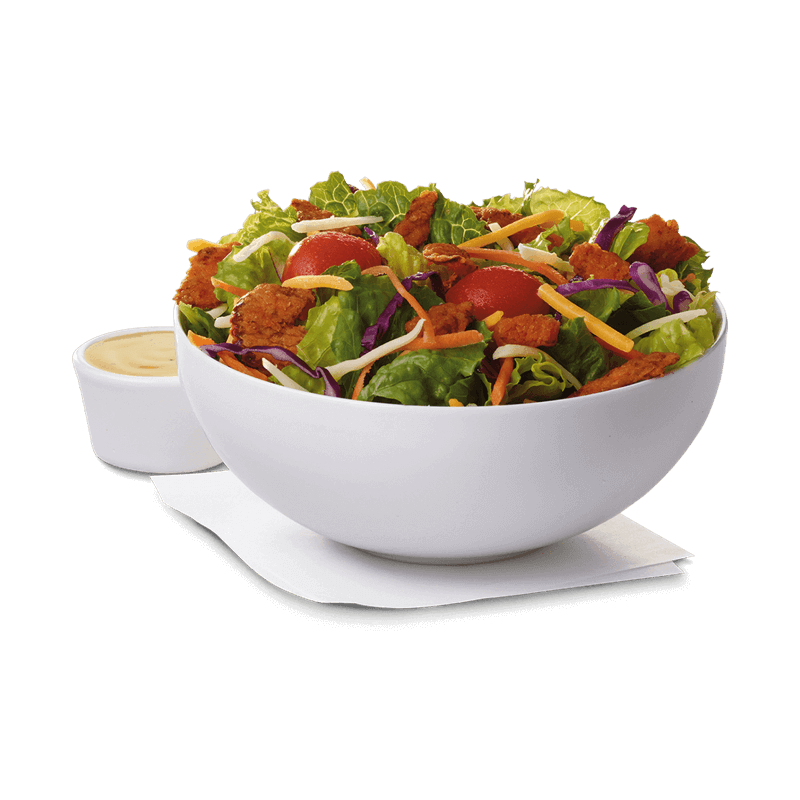 Side Salad: A fresh bed of chopped Romaine lettuce, topped with shredded red cabbage and carrots, a blend of shredded Monterey Jack and Cheddar cheeses and grape tomatoes. Made fresh daily. Served with charred tomato crispy red bell peppers and your choice of dressing. 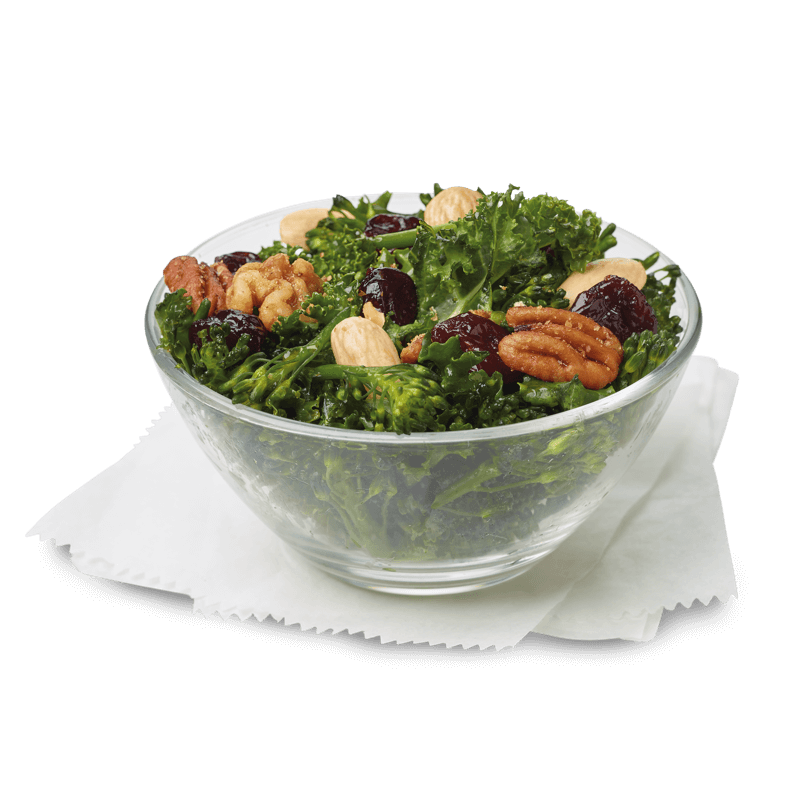 Superfood Side: Chopped Broccolini and kale blend, tossed in a sweet and tangy maple vinaigrette and topped with flavorful dried sour cherries. Served with our roasted nut blend. If you’re dining alone and can’t wait to try some of these new menu items, don’t worry! We’re also testing the Mac & Cheese and Waffle Potato Chips as individual sides in your city. 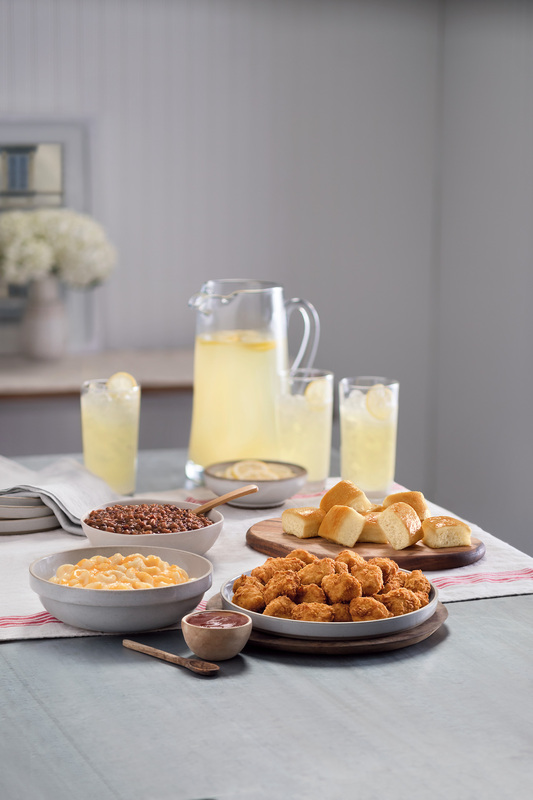 Chick-fil-A® customers in Greensboro, N.C., Phoenix and San Antonio will be the first in the country to test out a new way to share Chick-fil-A meals and a few new side items as the restaurant chain begins testing “Family Style Meals” in three cities today through November 18. 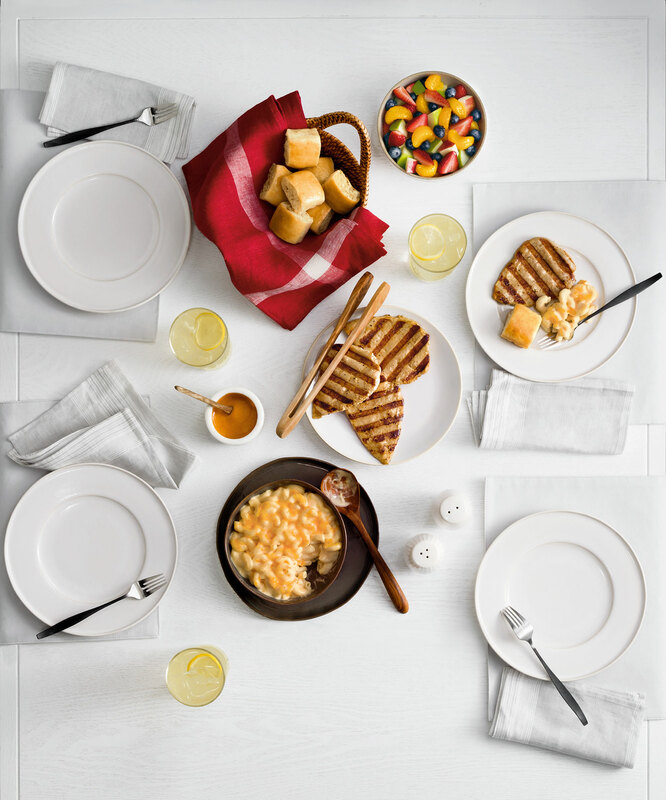 The Family Style Meals include one entrée, two sides and eight mini rolls to serve four people, with the option to add additional entrees, shareable sides and beverages. Plates, utensils and condiments are also included.